This month the Words and Pictures theme is Motivation and Challenge. There's been a growing debate about the challenge apps might pose to physical books. I've joined in, blogging about it on CApptivated Kids and also on Picture Book Den earlier this year. But I wanted to take a different angle for Words and Pictures. So here's a writing challenge I took on earlier this year - to use story apps to feed into writing "traditional" picture books. I haven't (yet!) tried to write a story suitable for an app. Writing apps is a comparatively new discipline, and there is so much to think about. It's not simply a question of adding a few beeps and animations to an existing 500 word text. Kate Wilson of stand-out app publishers Nosy Crow explains it very well in this blog post. It's a real challenge to create significantly more content than your standard picture book, and to marry it seamlessly with the technology. And as Kate says, you need to work with others on "illustration, animation, voice audio and music." Not an easy task! But on the flip side, I wonder what we as writers can learn from apps and bring back to picture books? This might be a bit of a controversial question, to which some would answer "nothing!" After all, as the upstart younger brother, apps have taken a lot of what they know from physical books. But I think apps represent an exciting new branch of storytelling. Even if you might have reservations about their place in children's reading, it's worth seeing what we can learn from them. Choice is such a big part of apps, much more so than many physical picture books, allowing the child to really take control of their reading experience. In particular, the early childhood reading experience is slowly changing. 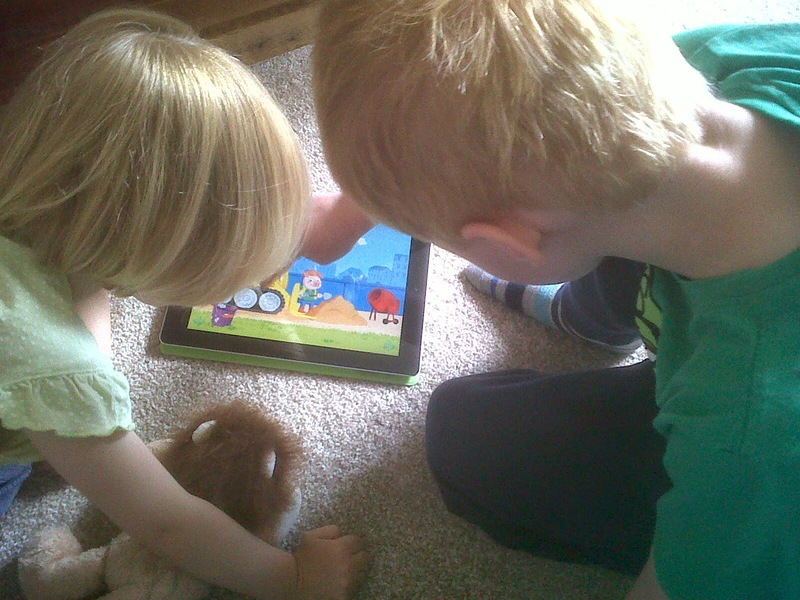 What will under 7s expect from books when more and more of them use story apps? I think they might look for some of the fluidity and interactivity which exists in apps, particularly in playing around with story structure. And I think the key word in identifying their new experiences is probably choice. Choice is such a big part of apps, much more so than many physical picture books, allowing the child to really take control of their reading experience. And so, feeling inspired and challenged by this, I've been working on an idea for a picture book (even a potential series, let's be ambitious!) which allows the reader to choose between several different paths to the end of the story. 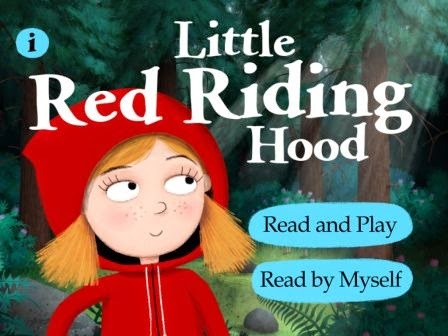 This is done brilliantly in apps like Nosy Crow's Little Red Riding Hood, which has several ways to reach Grandma's house, including different challenges and games along the way. I've been having lots of fun with my story of a young, brave knight who sets out to save the princess, but who can take a number of different paths to get there, encountering dragons, jousting matches or hot air balloons depending which path he chooses. And when he's successful, he gets to choose his own reward. It's a big challenge to bring that non-linear storytelling back to the traditional picture book format, but I'm working on it! Other potential future trends might include more picture books with puzzle-solving elements, a greater emphasis on dialogue (perhaps with technology allowing you to choose different conversation options? ), and more links between paper books and apps. Other potential future trends might include more picture books with puzzle-solving elements, a greater emphasis on dialogue (perhaps with technology allowing you to choose different conversation options? ), and more links between paper books and apps. I don't just mean an electronic version of the same story bundled with a book, but an app which works alongside it, unlocking extra content. Perhaps a magic mirror could be persuaded to give up its secrets, for example, when the screen is held above it? I'm not sure whether these sorts of ideas are already trickling through, but I'll be very interested to see where trends lie in the next five to ten years. I do think it is helpful for picture book writers to get to know the world of story apps, just like television, games or other media. If you haven't yet dipped your toe in these waters, I've shared a few of our favourites here. App Store also now has a great Interactive Stories section making it much easier to find story apps than it used to be. So have a browse, and who knows, you may find some ideas to kick start your own stories! Helen Dineen is a Scottish picture book author and mum of two living on the south coast of England. She loves being part of her local Southampton SCBWI goal setting group. Helen is represented by the Anne Clark Literary Agency. She reviews apps for young children at http://capptivatedkids.wordpress.com and has been a Cybils Book App Judge. Thank you, Helen. A lot of food for thought - story apps sound like a lot more fun than I'd realised. Great article Helen! As a a mum of 2 and picture book writer, I share your passion and curiosity about apps. Good luck with your new series. Brilliant Helen! I love the choice aspect - it's making me think less linearly about a series - I've long been interested in the hypertext novel idea which is kind of similar. Thanks for the kind comments, glad it struck a chord! Thank you, Helen! Lovely to have Nosy Crow name-checked in such a thoughtful and thought-provoking piece. Really interesting, Helen. Surprisingly, writing an app is actually a lot easier than coming up with a suitable story for one!